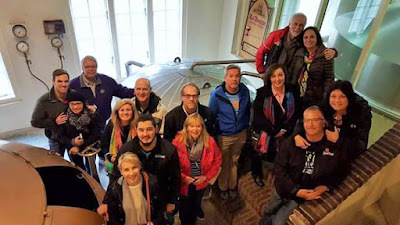 CHARLOTTE, N.C. – BeerTrips.com has put together a special beer tour of Germany and the Czech Republic to benefit Pints for Prostates. The guided beer adventure will take place from Sept. 21 to Oct.1, 2016. The nine night trip includes stops in Prague, Eck, Bamberg and Munich for Oktoberfest. The trip includes beer tastings, escorted beer hall crawls, guided city walks, brewery tours, special beer and food pairing meals, and more. BeerTrips.com is offering this special Pints for Prostates group tour to Europe to the public on a limited basis at $2,995 (+ air) based on double occupancy ($635 single room supplement). A preliminary trip itinerary and details on other BeerTrips.com tours are available at http://beertrips.com/trips/oktoberfest.htm. The total value of the trip for two is estimated at $8,500. The drawing will be held on July 31, 2016. The prize is non-transferable. No cash substitute will be offered. The winner and their guest are responsible for obtaining passports and all trip related costs not outlined above. You must be 21 years old to enter.